Family Business and Entrepreneurship B.B.A. Leadership, Ethics, and Organizational Sustainability B.B.A. Strategic Human Resource Management Online M.S. Spencer majored in International Business and Spanish with a Latin American Studies minor. He studied abroad in Spring 2017 at Universidad Iberoamericana, which is the Jesuit University of Mexico City, where he took all five courses in Spanish. 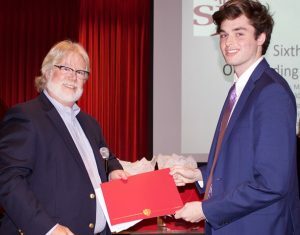 Spencer’s honors include the Dean’s List, Beta Gamma Sigma, Sigma Delta Pi along with his team being awarded 2nd place in the Fall 2015 sustainability competition. In Fall 2017, his team was the best in the Senior capstone simulation course. Spencer is going back to Mexico this Summer to work for Berlitz Corporation in a full time capacity as an English Language instructor. Victoria is completing the International Business major with a Spanish minor and Presidential Scholarship. 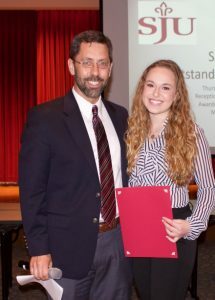 She has been on the Dean’s list every semester as well as being inducted to Beta Gamma Sigma. In addition to her strong academics, Victoria is the Junior captain of the nationally ranked Saint Joseph’s University’s Dance Team. The dance team placed top three in the country in the Hip Hop category and top four in Pom. This Summer, Victoria has lined up a 10-week internship at CH Robinson, which Is a Fortune 500 company with $4 billion in revenue that specializes on inter-model transportation and third-party logistics. Victoria is from Kaarst, Germany. 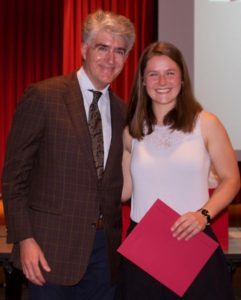 She was recruited to come to Saint Joseph’s University with a full scholarship and join the division 1 Field Hockey team. Victoria was awarded the 2017 Atalantic-10 defensive player of the year and was named All-American. Besides athletics, Victoria completed a Sustainability project examining water problems in the northern Colombia region of La Goarjira, which for the first time, we are considering inviting to compete in the Fall 2018 sustainability competition with 3 other teams. Victoria will also be participating in a 2-month internship at Talanx Group which is an insurance company in Germany. Micaela is a very talented first-year student who has shown lots of potential and is creating her own path. She is considering complementing her studies in International Business with a second major in Spanish. 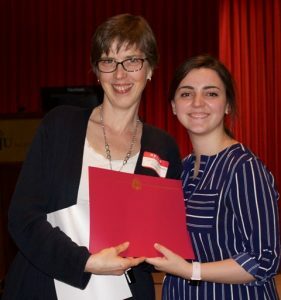 She started Spanish at the advanced conversation level during her first semester, also completed her first year seminar on Iconic Women of Latin America with Dr. Hennes. Moved to another advanced Spanish in second semester, and is registered in a third advanced Spanish course this upcoming Fall. She is a member of the club tennis team and completed the Appalachian experience this past spring break. Maria is a rising senior, double-majoring in International Business and Italian. 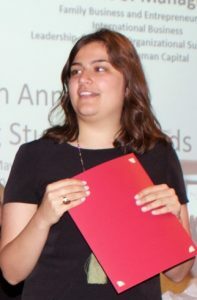 She has served as president of the International Business Society. Her leadership demonstrates well in the planning and execution of activities, which included the following events: a networking night with author Terry Morrison, revitalizing the mentor-mentee program, visits to the PA state capital in Harrisburg, Vanguard, the Italian Market, Linked-in seminar, the etiquette banquet, among others. 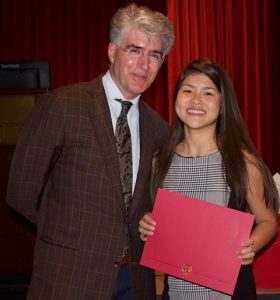 Maria’s goal after graduating Saint Joseph’s University is to attend law school. She is currently working on a minor in Justice, Ethics, and the Law, and will be interning full time this summer as a legal assistant at a law office in Narberth. Tom is an outstanding senior who double majored in Leadership, Ethics, & Organizational Sustainability along with Marketing. 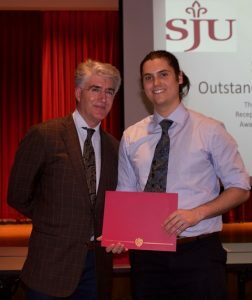 He has been the President of the award-winning Saint Joseph’s University’s chapter of the American Marketing Association and is a member of the Delta Sigma Pi business fraternity. He is committed to growing as a thoughtful leader and contributing to a world where business is a force for good. Tom has been a vocal advocate for Leadership, Ethics, & Organizational Sustainability and will begin working for ADP in Human Capital Management Sales after graduation. Ana is an outstanding Junior who is majoring in Political Science and a minor in Journalism and Leadership, Ethics, & Organizational Sustainability. She is Editor-in-chief of the Hawk newspaper, captain of the Orientation Team, and a Hawk Host. This Summer she is interning at NBC in the National Bureau in Washington, D.C.
Anne is from Lancaster County and is double majoring in Leadership, Ethics, & Organizational Sustainability and Marketing along with a minor in Spanish. She has been an AOEX Leader, Ignite Freshman Retreat Coordinator, Weekly Service Leader, and is active in the Delta Sigma Pi business fraternity. This summer she is doing a study abroad program in Copenhagen, which includes trips to Stockholm, Sweden, and St. Petersburg, Russia. Brooke Neal is from Pittstown, NJ and was an early adopter, being the first member of her class to join Team LEO. She is a member of the Dean’s Leadership Program and has been active in many service activities, including weekly service and Special Olympics. This summer she will be working at a restaurant in her hometown as well as traveling extensively, including to Montreal and London. Sean is from Syracuse and is double majoring in Leadership, Ethics, & Organizational Sustainability and international Business along with minors in Spanish and Accounting. He has been the Head Resident Assistant of Overbrook Campus, a Hawk Host, a member of the Chapter Choir, and is a co-host of a radio program called “Nerd Alert”. After graduation, Sean will be moving to the Chicago area to take a position as a Customer Development Associate at Kimberly-Clark, working on the Walgreens account. 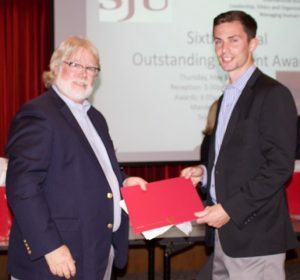 Tom is a member of the Men’s Soccer Team and is recognized as a Saint Joseph’s University Scholar Athlete. He has been on the Atlantic 10 Commissioner’s Honor Roll and is a Student Athlete Advisory Committee Member. 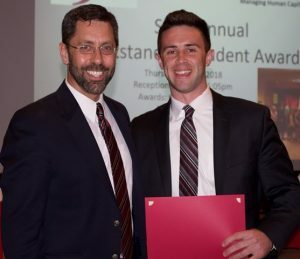 Tom is the recipient of the Sigma Pi Epsilon Balanced Man Scholarship. He has embraced the field of entrepreneurship starting his own business, “MyCampus Delivery”, while excelling in his course work. 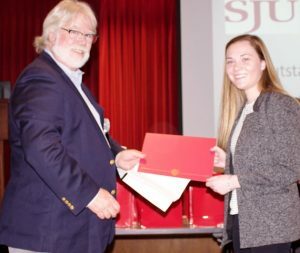 “MyCampus Delivery” won the Saint Joseph’s University’s Shark Tank Competition. He was also a finalist in the Haub School of Business Sustainability Solution Competition. Tom will be conducting market research for Message Wrap as well as working on two of his own businesses. Dalton is a Sales Executive and Director of Social Media for his family business, ASI Waste. It is a comprehensive waste management company operating out of Newark, Delaware providing medical waste and trash services. He sells to multiple doctors in the area and is also in charge of @asiwaste’s Instagram account. Dalton is also responsible for writing various articles and blogging on social media. He is also involved with a few startups and multiple innovations for media and the future. Marina comes from a Family Business, Preston Automotive Group which consists of dealerships located in Maryland and Delaware along with a digital marketing company, ifrog Digital Marketing. In the past, she has worked for the family business during certain sale periods within the dealership, however, this Summer she will be interning full-time at their Ford dealership. Marina has also been on the Dean’s list several semesters. Brian is double majoring in Family Business & Entrepreneurship along with Marketing. He is a frequent Dean’s list recipient. He started his own residential powerwashing LLC to expose himself to the less attractive aspects of a business (learning taxes, financials, and accounting, etc). He intends to launch a larger business. 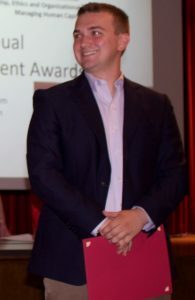 Brian is currently President of the Entrepreneurship Club, which has about 230 members. He is also on the student board for the Initiative for Family Business and Entrepreneurship. Eli is currently working on a ride sharing startup app, enabling college students to carpool to school and back. After graduation, he intends to continue running his beekeeping business doing hive management services for local schools and colleges. Lizzie double majored in Managing Human Capital along with Leadership, Ethics, & Organizational Sustainability. She is also a Dean’s list recipient. Furthermore, she is an inductee of both Alpha Sigma Nu, the Jesuit honors society, and the Order of Omega, the Greek Honors society. 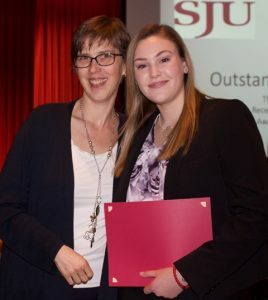 Lizzie has stayed busy during her time at Saint Joseph’s University. 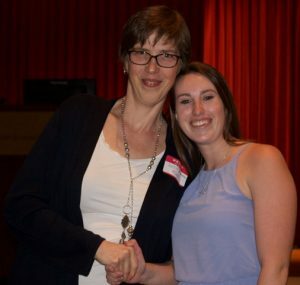 She has engaged in weekly service and service learning each semester – working with low income and refugee children in after school tutoring programs. She also participated in APEX (our program in Appalachia during spring break). She helped lead the Search Upperclassmen retreat, has held leadership roles in Alpha Omicron Pi, and is a member of the campus chapter of SHRM. She managed all of that while studying abroad in Italy in her Junior year, and working in Human Resources at Blue Cross in Maryland for two summers, in an internship role. Lizzie is planning on taking her professional HR certification this Summer. Erica has taken four college courses at Cabrini University as a high school senior and received a long list of awards and scholarships. At Saint Joseph’s University, she serves as a Eucharistic minister and participates in various service opportunities through Alpha Gamma Delta. Erica will be working full time at Pacer Financial in Paoli in the Fall, as a member of our co-op program. 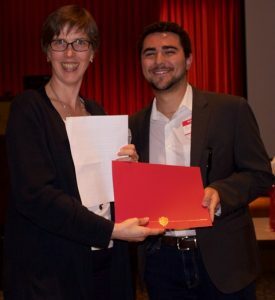 An excellent student, Matthew has made the dean’s list every semester so far, and is a Managing Human Capital and Leadership, Ethics, & Organizational Sustainability double major. Matthew participated in the Philadelphia Service Immersion Program before move-in as a Freshman, and has continued his service while studying at Saint Joseph’s University. 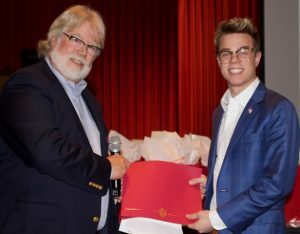 He is a recently inducted member of Alpha Phi Omega, a service fraternity, and tutored third graders in English and Math as part of a service learning course. 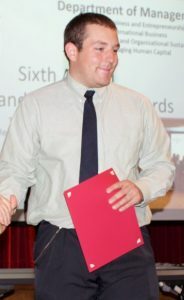 In addition, Matthew has participated in co-op, working at SAP. Liz is a Managing Human Capital major with a minor in English. She is a head Resident Assistant, and a peer review board member for the Office of Community Standards. 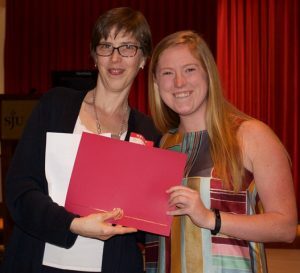 Liz is a Dean’s list recipient, and a member of Sigma Tau Delta, the English honors society. Liz interned in the Human Resources department at the University of Pennsylvania last summer, and did such a great job that will be working in a temporary position in their recruitment department this summer. Emer is a double major in Managing Human Capital and Leadership, Ethics, & Organizational Sustainability. She is also a psychology minor. 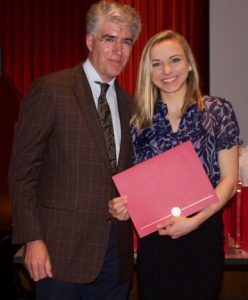 Emer is a dean’s list recipient, honors student, and is currently serving as the President of the Dean’s Leadership Program. In this role she collaborates with the business school dean’s office and oversees about 100 students who participate in the program. 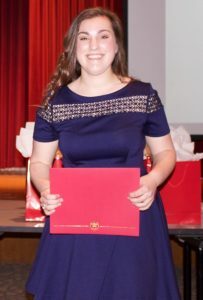 In addition she is an inductee of Alpha Sigma Nu, the Jesuit honors society, and Alpha Omicron Pi. 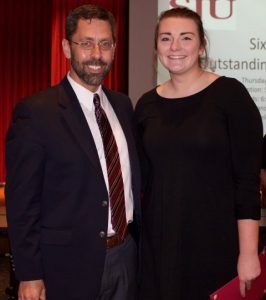 She is a member of the Saint Joseph’s University’s Society for Human Resource Management Chapter, studied abroad in Ireland, and has held some very impressive internships with Vanguard and Connor, Strong, and Buckelew. Liz is planning on taking her professional Human Resource certification this summer.